Can we please just take a moment. Take a moment of sheer admiration, envy and lust over these photos. Well, more than a mere moment is needed but I’ll carry on for the sake of finishing this blog post before my dinner is ready. 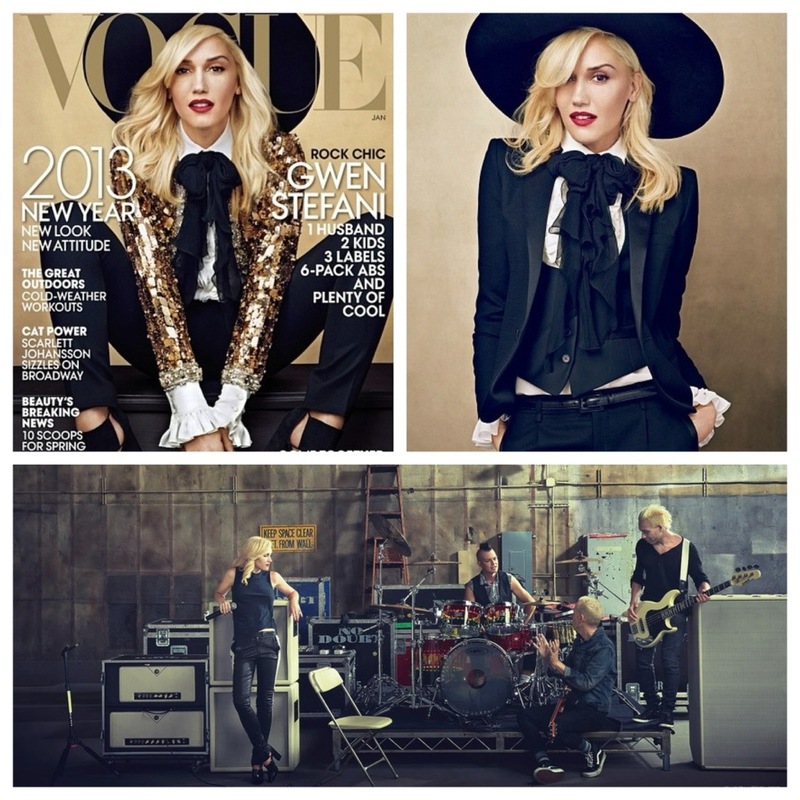 Ms Wintour has placed the ever-stunning and graciously cool Gwen Stefani on the cover of Vogue for the January 2013 issue, and doesn’t she look FAB?! (In my humble opinion it looks more like a December cover than a refreshing January issue, but who am I to disagree with the high priestess of fashion?) Gwen is of course wearing Saint Laurent Paris by Hedi Slimane, the designer’s first collection for the newly overhauled classic French label, and it has to be said that they look like they were made for Ms Stefani herself. Looking (as always) effortlessly cool with a dollop of chic, Stefani just epitomises the kind of woman everyone wants to be, well the woman I want to be anyway. With all the photos shot by Annie Leibovitz you know already that the shoot is going to be special. Leibovitz also shot Stefani’s previous cover for Vogue in 2004. The January 2013 issue of American Vogue is out on US newsstands now, with it being released here in the UK within the next couple of weeks, and you can bet your bottom dollar that I’ll be inspecting every shelf in every WHSmiths that I can get to until I have this beauty in my paws.